Home & Office After Builders Cleaning Kent DA | RDA Cleaning & Maintenance Ltd.
Our service is an hourly based, post-renovation cleaning or the so-called contract construction clean-up. Usually, our competitive and reliable post renovation clenaning company in Kent DA helps customers after small or big repairs, constructions, DIY projects, redecorations and renovations at home or at the office. Our main purpose is to remove the industrial dirt, which hides a big risk for your health. Please, keep in mind that professional after builders cleaning is recommended due to the fact that getting rid of the industrial and post-renovation grime is at least twice harder and slower than dealing with regular cleaning and dusting. In most cases, industrial stains include paint, glue and other building materials, which are harsh to be eliminated. However, we can remove them and with natural and 100% environment-friendly products. With the help of professional detergents and machines like pressure washers, scrubbers and vacuum cleaners, we give only the best of service to our customers. 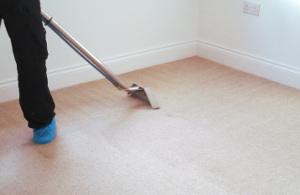 Our trained after builders cleaners Kent DA mop the floors and if there is a carpet, they vacuum it. Our post renovation cleaners clean the mirrors and the glass tables and remove the dust from the furniture. Everything is like it is brand new.